It’s Spring, so how is your Bracket Doing? Well, it’s that time of year again. Has your bracket been busted? 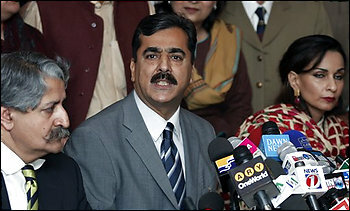 How many of you can honestly claim that you predicted the upset of Yousaf Raza Gilani becoming Pakistan’s new Prime Minister? 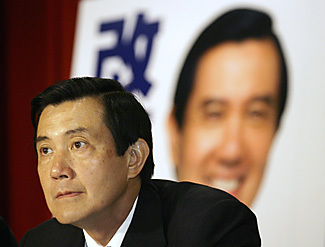 Now I realize that most of you were predicting a victory for Ma Ying-jeou in Taiwan’s recent presidential elections. But did you honestly think that he would win by 15! (He won 57.5% of the vote.) Mr. Gilani almost busted my bracket, but I think that I may be able to redeem myself with my pick for the winner of the upcoming Serbian Parliamentary elections (given that the Balkan Conference is a mid-major, that group of countries has not been followed very closely and I have a little bit of an advantage in prognosticating the outcome there). Current Prime Minister, Vojislav Koštunica, disbanded his coalition government on March 13 due to tensions within the governing coalition as a result of the declaration of independence by the former Serbian province of Kosovo. New elections are slated to be held on May 11 of this year, with Koštunica’s conservative and nationalistic Democratic Party of Serbia will find its strongest challenge from Serbian President Boris Tadić‘s bloc of pro-democratic and pro-Western parties and the ultra-nationalist Serbian Radical Party. It will be interesting to observe how much the apparent loss of the Kosovo (the “Serbian Jerusalem”) will help the ultra-nationalists and hurt Koštunica. THIMPHU, Bhutan (Agence France-Presse) — Bhutan stands poised to become the world’s newest democracy on Monday with elections ordered by its revered royal family to end its absolute rule. 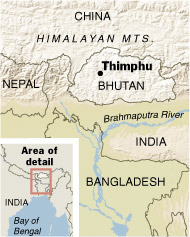 The tiny Buddhist state, wedged in the Himalayas between India and China, will elect members for a lower house, ending the century-long rule of the hugely popular Wangchuck dynasty.Bhutan’s Oxford-educated ruler, King Jigme Khesar Namgyel Wangchuck, 28, made a forceful last-minute appeal over the weekend to his subjects — some of whom were initially reluctant to bring in democracy — to vote. The king is the fifth ruler in the dynasty, in power since 1907. The path to democracy began in 2001, when the former king, Jigme Singye Wangchuck, handed over the day-to-day tasks of government to a council of ministers, and finally stepped down in favor of his son in late 2006. Since then, father and son have traveled the country to explain to its 670,000 people why the nation should embrace democracy. Wow! I think we have one of those rare instances of enlightened despotism.